Bottles of Coca-Cola classic will be both smaller and more expensive after the long-awaited soft drinks levy comes into force in April. The tax takes effect on 6 April and will be charged to soft drink manufacturers on every litre of drink they package for sale with a sugar content of 5g or more of sugar per 100ml. Drinks with between 5g and 8g of sugar per 100ml will incur a charge of 18p per litre. Drinks with 8g or more will incur 24p per litre. Manufacturers are required to register for the levy as of last week. 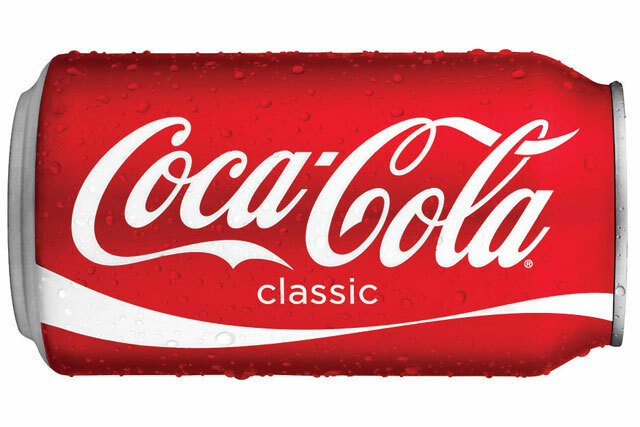 In contrast to some other leading brands, Coca-Cola has refused to consider changing the recipe of classic Coke, which is the UK’s top-selling soft drink. With 10.6g of sugar per 100ml, Coca-Cola classic falls into the higher tax band. Coca-Cola European Partners, the company that bottles and distributes Coke’s products in the UK, has confirmed that the cost will be passed onto consumers, by both increasing prices and making some bottle sizes smaller. CCEP said new prices and pack sizes were yet to be confirmed, but The Guardian reports that a 500ml bottle of Coke will go up in price from £1.09 to £1.25 – a 14.7% increase. 12p of the 16p increase is accounted for by the sugar tax. Meanwhile, the 1.75 litre bottle, priced £1.79, will be replaced by a smaller 1.5 litre bottle with a price of £1.99. Based on the proportional price of the old bottle, this is an increase of 45.6p, or 29.7%. 36p of this is accounted for by the sugar tax. A CCEP spokeswoman said: "We have no plans to change the recipe of Coca-Cola Classic so it will be impacted by the Government’s soft drinks tax. People love the taste of Coca-Cola Classic and have told us not to change it. "We are in ongoing discussions with customers about the impact of the Government’s soft drinks tax on Coca-Cola Classic. These discussions include reviewing the pack sizes offered to consumers and our approach to price-marked packs. As is always the case, our customers will have to decide the retail prices in their outlets." Last March, Coca-Cola unveiled a new recipe for Fanta that took its sugar content down to 4.6g per 100ml, thus avoiding the sugar tax. But it has refused to consider doing the same for Coke, instead trying to get its devotees to switch to lower sugar products. It abandoned mid-calorie version Coke Life last April after it failed to gain steam, focusing efforts on Coca Zero Sugar, which was launched in 2016. Supermarket sales of the second biggest soft drink brand in the UK, Pepsi, are already dominated by sugar-free version Pepsi Max, meaning owner Britvic is already set to avoid the sugar tax on the bulk of its sales. AG Barr, which makes Scottish favourite Irn-Bru, has caused outrage among many fans of the orange coloured drink by announcing it is permanently changing the recipe to lower the sugar content from 10.3g to 4.7g of sugar per 100ml. A petition on change.org titled "Hands off our Irn-Bru" has attracted almost 40,000 signatures, with Lorraine Kelly also weighing in to denounce the change. But a spokesman for AG Barr said most consumers wouldn’t notice the change: "The vast majority of our drinkers want to consume less sugar so that’s what we’re now offering. "We ran lots of taste tests that showed most people can’t tell the difference – nine out of 10 regular Irn-Bru drinkers told us we had a good or excellent taste match."